What is even better than the smells of peppermint, eggnog, pine trees, candy canes, and gingerbread? 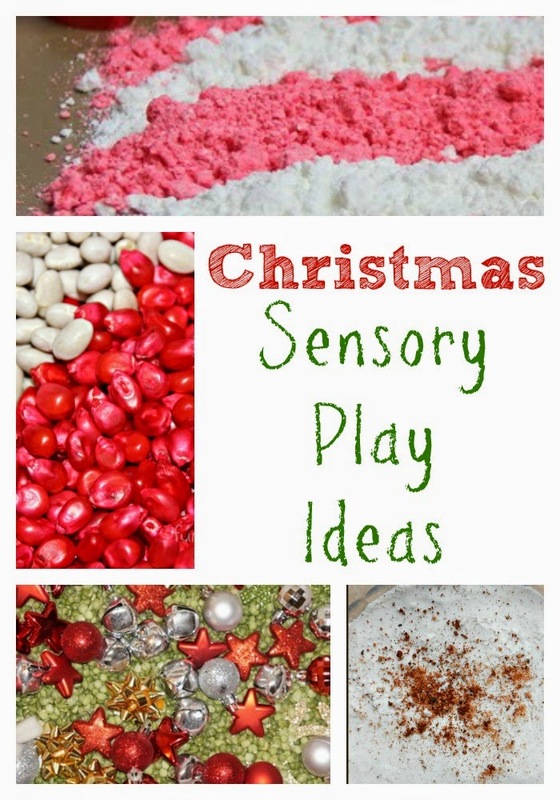 Try our amazing list of Christmas sensory play ideas for kids! Finger paint is textured and scented in Gingerbread Painting from House of Burke. 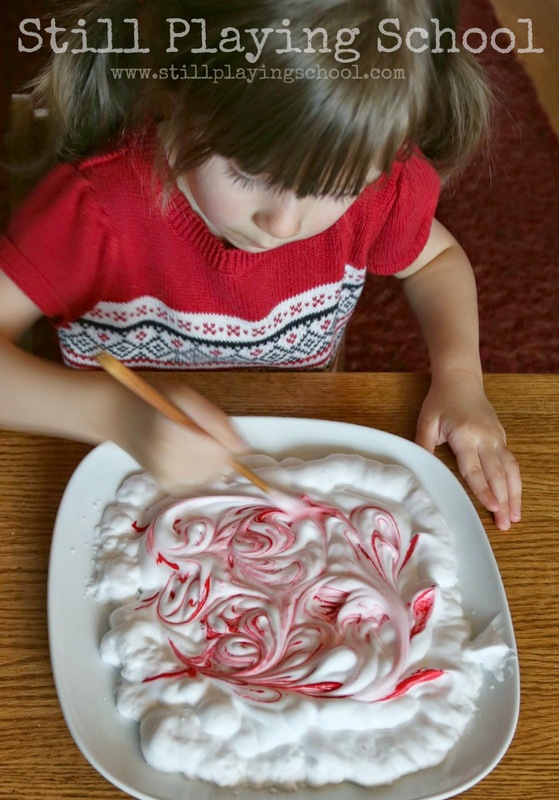 Candy Cane Noodle Play from Sugar Aunts includes bonus fine motor practice ideas, too. We have sensory visions of Frogs, Snails, and Puppy Dog Tails' Sugar Plum Crumble Dough dancing in our heads already! The Preschool Toolbox has a full Five Senses of Christmas yet I think the Christmas Smelling Jars are my most favorite idea. House of Burke's toddler safe Christmas Tree Sensory Bin is the perfect distraction for little ones who can't resist the sensory experience of the actual Christmas tree! Children have the choice of getting messy or staying clean while making our Shaving Cream Peppermints! Fluffy Eggnog Cloud Dough from My Nearest and Dearest would be irresistible for holiday sensory play! If gingerbread isn't your thing, try this Cinnamon Scented Crumble Dough from Frogs, Snails, and Puppy Dog Tails! Round up some baby safe holiday themed sensory items to create a Christmas Treasure Bin for the littlest learners as Wildflower Ramblings did! The peppermint scented Candy Cane Moon Dough from Sugar Aunts looks phenomenal! If you have an Elf on the Shelf, he can arrive with our Gingerbread Play Dough for a deliciously scented morning of sensory play! How Wee Learn's Christmas Tree Sensory Bin includes an adorable sticky Christmas tree to decorate. I can almost smell this Gingerbread Oobleck from My Nearest and Dearest! 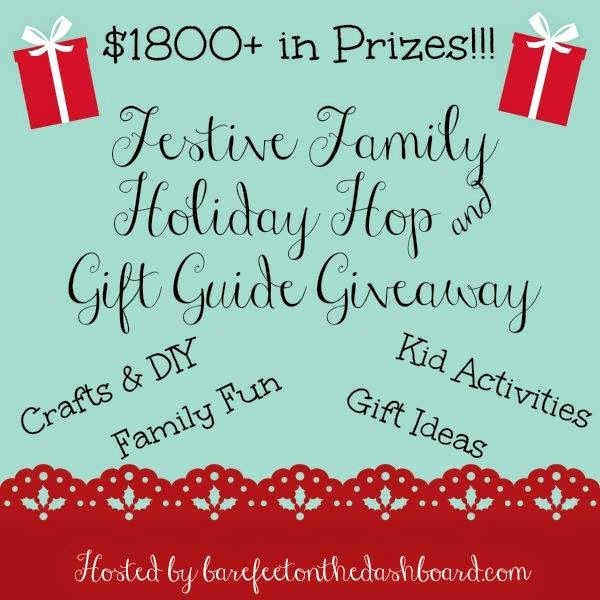 Little hands won't be able to resist the tiny bows in Wildflower Rambling's Sensory Bin for Christmas. Fun-a-Day got totally creative with their fillers in their Sweet Smelling Candy Cane Sensory Play invitation! 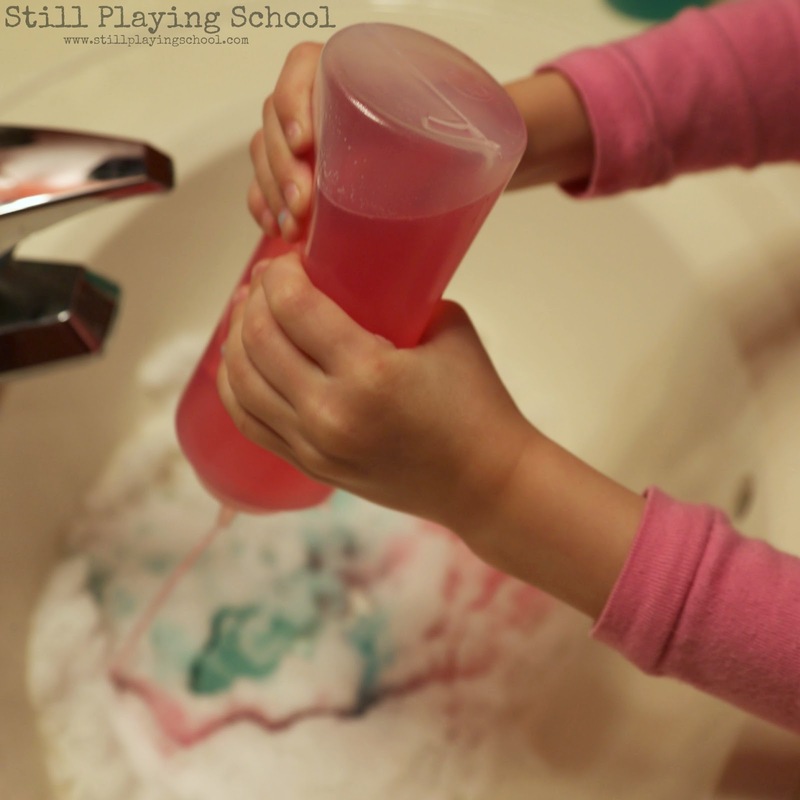 Bring the snow inside for our no mess Christmas Colors Sensory Sink with bonus fine motor practice! I know our train obsessed toddler would love this Christmas Sensory Bin with Trains from Little Bins for Little Hands. Or if you don't have snow you can still go sledding in Where Imagination Grow's Scented Snow Sensory Bin! Lemon Lime Adventures has even more ideas for Baby Safe Sensory Christmas Play! 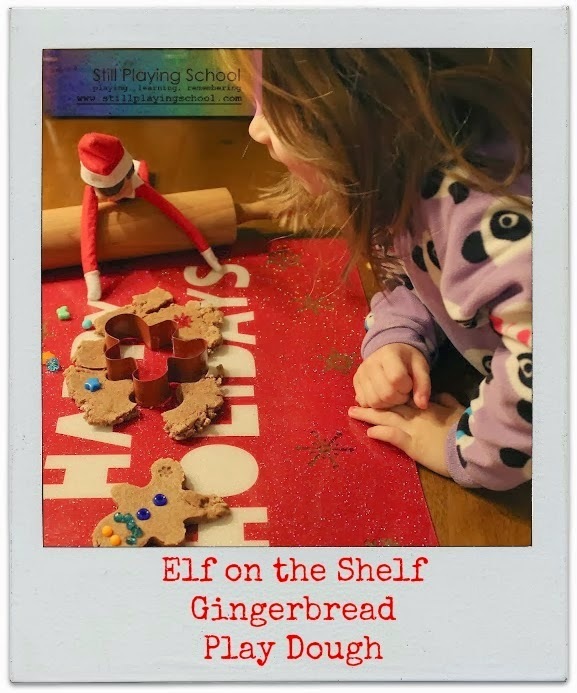 Even your elf loves sensory play! lol!